Diamond tables and accessories are available in many different models and stains which means your order may not ship right away. Shipping and delivery terms are clearly noted on each product on the website. 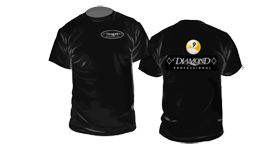 When you order a Diamond product your ordering quality, custom made equipment which is worth the wait. If an ordered product is out of stock, back-ordered, discontinued, or any other irregularity, we will let you know through email or telephone within one business day (M-F) of placing your order. Please note that once your package leaves our building we have little or no control over it. We will ship the package as stated in our shipping agreement with the method you specified at checkout. Certain conditions may cause the package to be delayed such as adverse weather conditions in your area or in the route to your area.